What’s Ellen Degeneres doing on my pet blog? Ellen is a tremendous animal advocate and pet owner. She is affiliated with the new stamps helping shelter pets. Now you can help shelter pets just by mailing a letter. The United States Post Office in cooperation with some of your Hollywood favorites have put together a group of stamps featuring both dogs and cats. Here is a partial print of the article so if you would like to know more just click the link and get the scoop on these great stamps that bring attention to rescue pets in our country. Here is part of the news release. Please click the appropriate link at the bottom to get the remainder of the article. HOLLYWOOD — The U.S. Postal Service continued a 50-year tradition today with the dedication of its latest social awareness stamp — Animal Rescue: Adopt a Shelter Pet. The 44-cent stamps, on sale nationwide today, feature photographs of five cats and five dogs from animal shelters and rescue groups. Ellen DeGeneres, talk show host, animal advocate and co-owner, HALO, Purely for Pets; Wayne Pacelle, president and CEO, Humane Society of the United States; Betsy Saul, co-founder, Petfinder.com, and Jone Bouman, director of communications, American Humane Association’s Film & TV Unit, joined Corbett on stage at the Academy of Television Arts & Sciences to pay tribute to the stamps, the campaign and the cause. The animals featured on the Animal Rescue: Adopt a Shelter Pet commemorative stamps are based on photographs of cats and dogs from shelters and rescue groups — seven from an animal shelter in New Milford, CT — taken by veteran stamp photographer Sally Andersen-Bruce. Derry Noyes was the designer and art director. All were adopted into loving families. The Postal Service has been issuing social awareness stamps for more than 50 years. Stamp subjects have included a variety of important social issues of the day. Past stamps have highlighted children’s health, literacy, breast cancer awareness, organ and tissue donation, philanthropy and Alzheimer’s awareness. 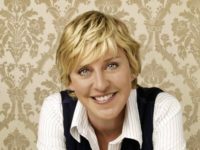 The stamps were introduced to the public on The Ellen DeGeneres Show last month. The Postal Service has been working with DeGeneres and HALO, a holistic pet care company she co-owns, to promote the stamps and the Stamps to the Rescue campaign. Created by the Postal Service to provide additional information about the stamps and pet adoption, the campaign includes posters featuring DeGeneres in post offices nationwide as well as an Internet presence at www.stampstotherescue.com. For the balance of the article you can click here. I hope that the next time you order stamps you will remember that you can help shelter pets by simply mailing a letter and order the new pet stamps from your USPS source. thank you for this good article. It served me alot.